The charismatic, quiet-spoken career diplomat will be remembered as the United Nations' star secretary-general -- and arguably the world body's most popular leader. But, as peacekeeping chief, two of the UN's darkest chapters -- the Rwandan genocide and the Bosnian war -- happened on his watch. "I have sought to place human beings at the center of everything we do -- from conflict prevention, to development, to human rights," Annan said in his 2001 speech after accepting the Nobel Peace Prize. 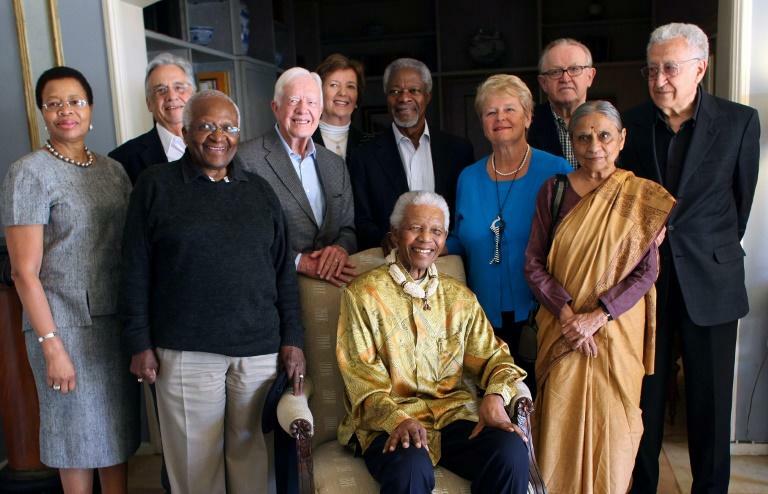 At the time, as the world was reeling from the September 11 attacks, Annan and the organization were jointly given the honor "for their work for a better organized and more peaceful world." 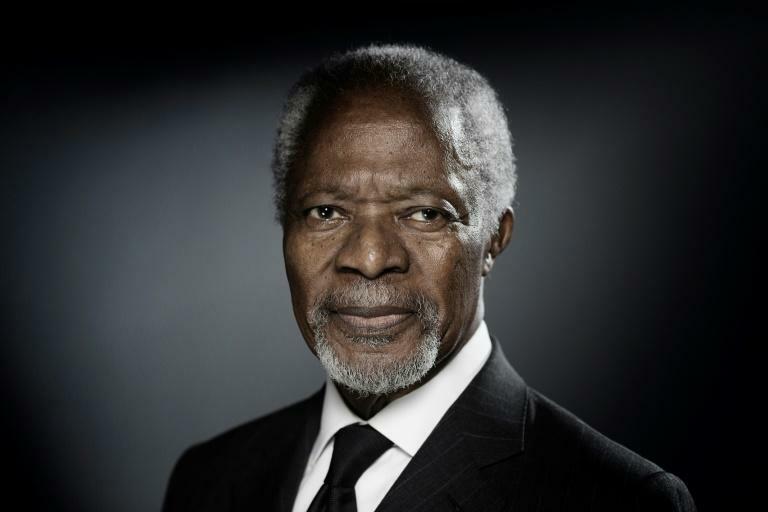 Annan -- the seventh secretary-general -- devoted four decades of his working life to the United Nations and was the first chief to rise from within the organization's ranks. In his autobiography "Interventions: A Life in War and Peace," Annan wrote that he envisioned the United Nations as serving "not only states but also peoples" as "the forum where governments are held accountable for their behavior toward their own citizens." 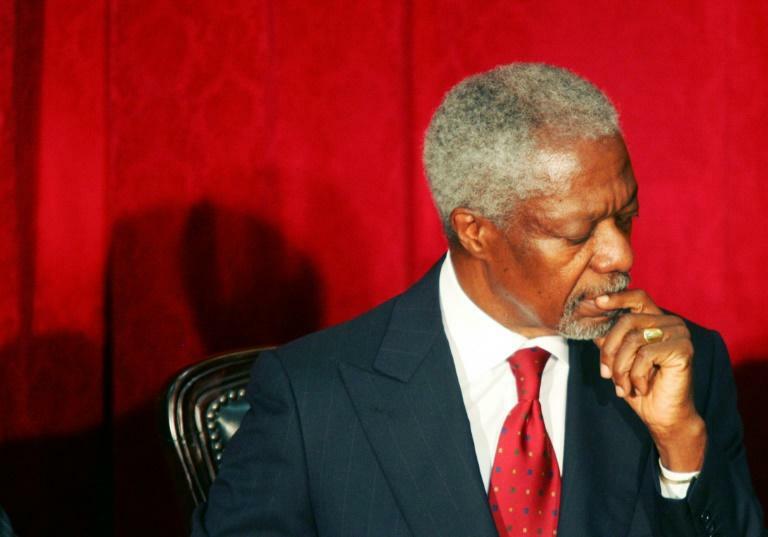 The UN's failures to live up to that promise in Rwanda and Bosnia would shape Annan's tenure as secretary-general, he wrote. The blue helmets pulled out of Rwanda in 1994 during the bloody chaos and a year later, the world body failed to protect its own "safe area" of Srebrenica when Bosnian Serb forces rounded up and killed thousands of Muslim men and boys. Those debacles "left me with what would become my greatest challenge as secretary-general: creating a new understanding of the legitimacy, and necessity, of intervention in the face of gross violations of human rights," Annan wrote. He was often described as a "diplomatic rock star." Annan owed his appointment to the United States, which had vetoed a second term for Egypt's Boutros Boutros-Ghali after relations went sour, but he often proved his independence from major powers. He annoyed the United States when he said the 2003 invasion of Iraq was "illegal" because it was not endorsed by the UN Security Council. A commission on inquiry cleared Annan of any serious wrongdoing, but found ethical and management lapses linked to his son Kojo's ties with a Swiss firm that won lucrative contracts under the scheme. In his autobiography, he describes coming of age along with the independence movement in Ghana, and experiencing a "complete change in culture and society."